Here are the tools you need: (if you have a floorjack to raise the front of the truck it makes it a lot easier to rotate the torsion bolts). That is a 1 1/16 socket. You also need a flat surface to work on. Make sure you take your measurements parked in the same place (I used my garage because it is level side to side (side to side level is what's important). 1 - (recommended) Jack the front of the vehicle up so the front wheels are off the ground. 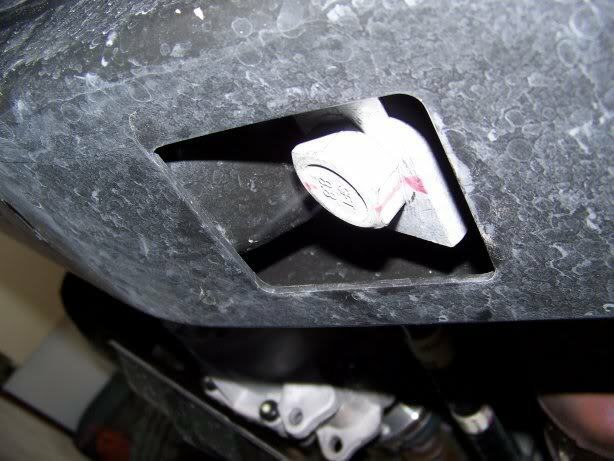 I put a floor jack on the skidplate directly underneatha crossmember and it worked fine (no flex). 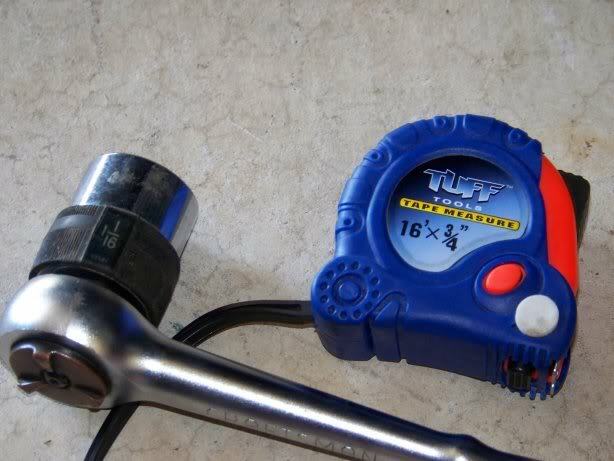 2 - Locate the torsion nuts and put a mark on the nut and the flange so you will be able to count the turns. I made a mark on the side of the nut for the starting position and another on the top to show 1/2 rotation. FYI - you turn the bolts clockwise (like you were tightening them) to raise the front of the vehicle. 3- Start off with 2 full turns on each side. Go drive around a little bit so the suspension flexes (I just used the brakes to make the front-end dive). 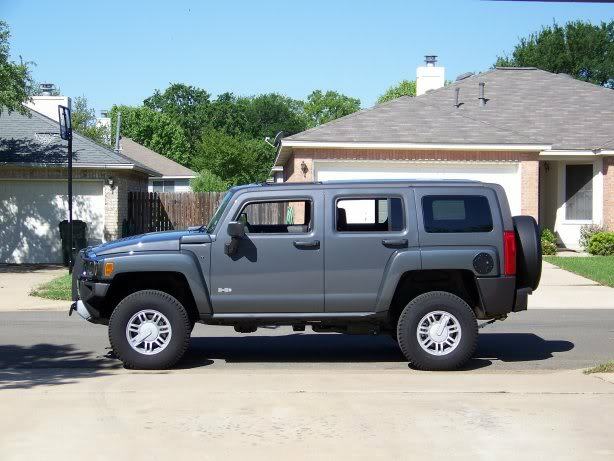 4- Measure from the center of the hub (the "H" in Hummer is a good mark to use). 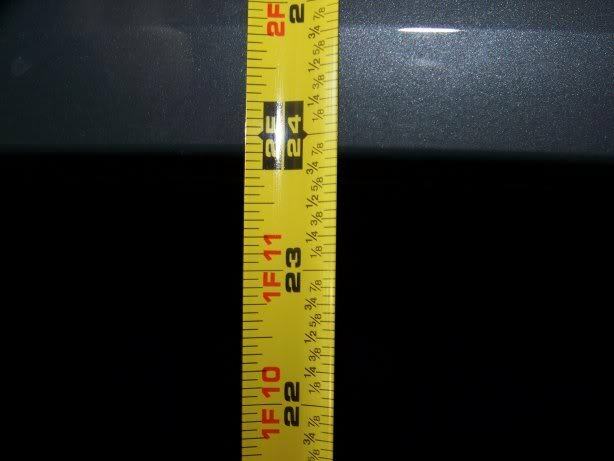 I was shooting for 23 1/2 inches. (This pic was taken after the bilsteins were added and the suspension had a week to settle in). 5. Keep adjusting until you get both sides level. I did it with 1/2 tank of fuel (not on purpose, just got lucky) but I haven't noticed much difference between full and empty. To get to 23 3/8I ended up with 4 turns on the driver's side and 5 turns on the passenger's side. 6. (optional but HIGHLY recommended) Install Bilstein's from Cognito Motorsports.Immediately after having the shocks installed and the alignment done I was at 24" even. 7. Go get an alignment. Some people don't but the shop said they had to adjust the camber and caster to get it into spec. Once you get your alignment write down your height measurement in your owners manual. If your suspension settles more you can adjust it to get it back to the height you wrote down (so your alignment stays valid). After a week it has been holding at 23 7/8. I'm not sure if it was the shocks, the alignment or a combination but I picked up about a 1/2 inch lift fromt the shocks/alignment. so that is how they do it the shop did mine and i wasn't quite sure how they did it. pics look great how much extra did you achieve? 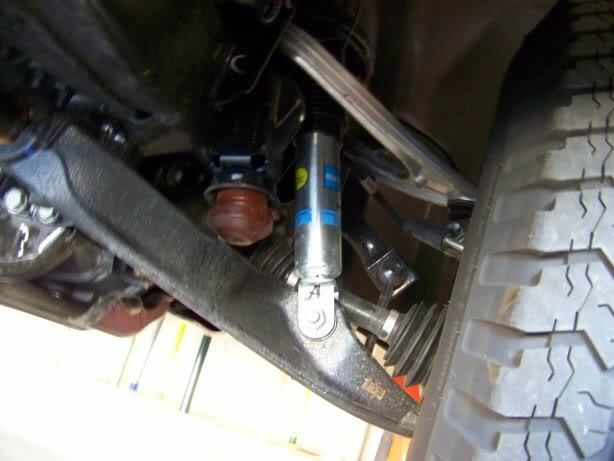 The shocks wont actually raise your truck any, just make the ride better. And you absolutely must get an alignment. Location: Delaware, Ohio GO BUCKS! Same way that I did mine. Good tutorial, hadn't seen one on here that detailed with pics. Will help alot of new members. Do you have to do any adjustments, to just put the shocks in???? or can you leave everything as is? Also, what do the Bilsteins run? $85 bucks a piece. Here is the link.. I highly recommend them because they really cut down on the nose-dive when braking and the truck doesn't ride any harsher but it feels a lot firmer/sure footed. Do both sides have to be lifted at the same time? I tried on the ground and the bolt won't budge, then lifted the drivers side and tried, [sm=badbadbad.gif]still no budge? Thanks for the info! I think we already have one or two of these posts, but your's is very thorough.